There is something just so inspiring to witness others thinking out of the box. For Feature Friday I’ve gathered a few favorites from this week’s Inspire Me Monday link party. 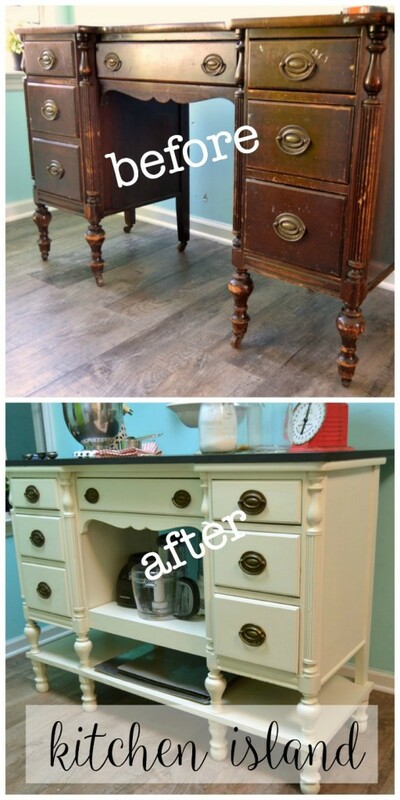 Get ready to be impressed with these Creatively Clever Furniture Makeovers! Click each title to be taken to the full tutorials. That galvanized metal finish looks amazing! It fooled me. 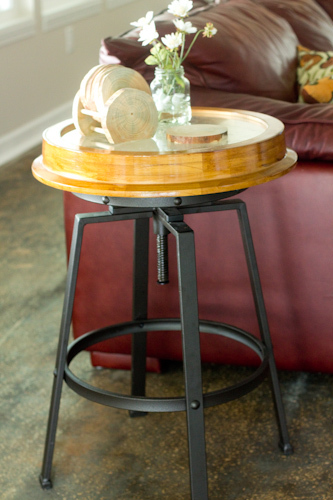 This Wayfair inspired clock table is made from a thrift store clock and a bar stool! This makeover is seriously impressive! 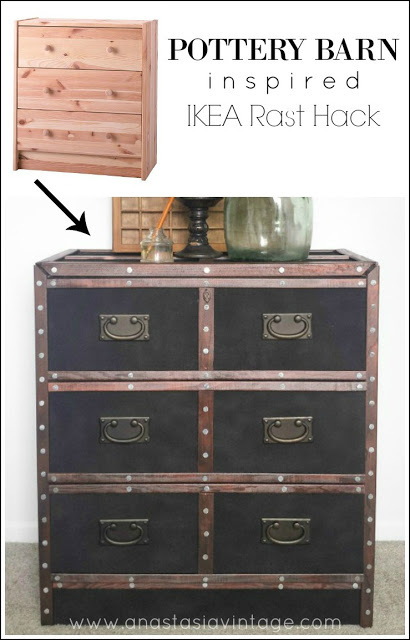 The dresser was inspired by Pottery Barn’s Ludlow Secretary Desk, resembling repurposed vintage trunks. Click through to see her step by step tutorial. This makeover is quite clever! She madeover over an old, beat up desk which had seen better days and transformed it into a useful kitchen island. 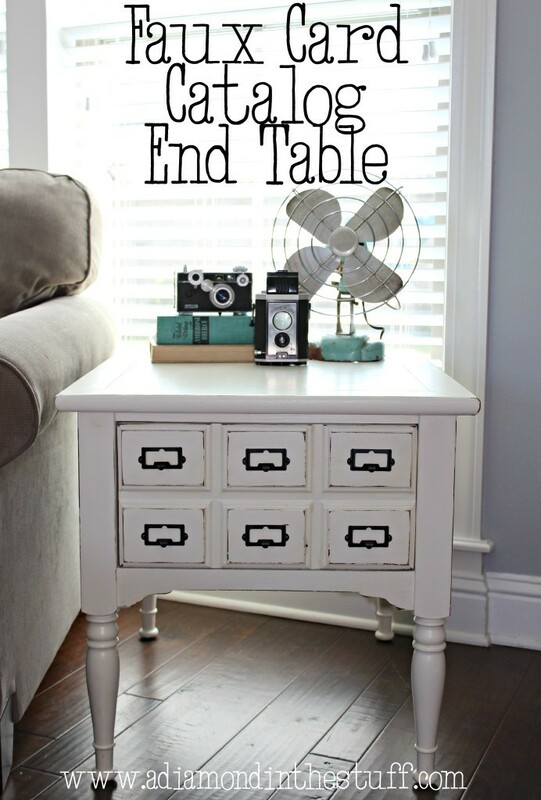 A little bit of TLC, paint and new hardware totally transforms a boring side table into one that gets noticed! I hope these inspire you to think out of the box with your next furniture makeover. Thank you so much for sharing! I’m so thrilled you liked my IKEA Hack 🙂 The other featured pieces are pretty stellar as well – I’m heading over to visit them now! Thank you so much for the feature!! Have a great weekend!! 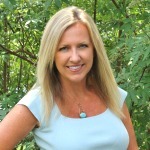 I am so excited and honored to be featured with these great furniture makeovers! Thank you so much for the feature! Thanks so much for hosting. What incredible features.